Root Beer floats were something I loved as a kid. Sometimes we went to the A&W Drive-In to get one...those were the best! But, making them at home was fun, too...my son loves the IBC root beer bottles (so do I). Not long ago, while searching for fun "flavorings" for a science project at school, we came across Root Beer concentrate. How cool would it be to make our own root beer!? And from that, make root beer floats! We don't get soda that often in our house...just time to time (that way it's just a treat, not an addiction). If you like root beer, give this a try; it's fun with or without the kids. Bring water to boil in medium saucepan. Stir in sugar until dissolved. Add concentrate; stir until well mixed. Pour into a container and refrigerate until ready to serve. When ready to serve, pour reserved root beer mixture into a pitcher and slowly pour in the soda. Stir slightly to blend. Serve immediately! Yup, it is as easy as that. Now, for double the fun, turn it into Root Beer Floats!!!! I do recommend making it when you're ready to use it all, because it loses it's fizz pretty quickly. I ended up pouring the remainder of what we made back into the club soda bottle and twisting the cap tightly. It lasted until the next day like this. Scoop some vanilla (or whichever kind you like to use) ice cream into a glass. Slowly pour root beer over the ice cream...look at the size of that head! Pop in a straw, and go to town...beware of brain freeze! I also love the way little root beer ice crystals form around the edges of the ice cream and get that little crunch! I'm betting there is probably a way to do this a little more "naturally". Maybe sarsaparilla root or something like that? Has anybody ever made it from scratch-scratch? I would love to know how to do it! Doesn't this make you feel like eating a chili-cheese dog w/ fries, too? Must be the drive-in memories. This sounds like so much fun!!! My hubby is a rootbeer addict, so this sounds great!!! im not a great fan of root bear, but making this sounds like so much fun!! Dar my nieces and nephews would love this!! I am pretty sure there are more than a few adults at the family get together on Sundays that would enjoy a sip also!! Where do you get the concentrate? I love root beer floats too! I'll have to get the root beer extract for sure! Love the fizz on the float,love it. Oh, I loved them as a kid and also as an adult. I am sooo craving one now. They look fantastic. how did I not know root beer concentrate even exists? That is so cool! I want some root beer concentrate - I wonder why it isn't more readily available? How cool! I always wanted to make my own soda. During the summer I drink floats like there's no tomorrow. These are such a special treat because you made your own soda! How super-yummy! I'm a big fan of root beer floats. I'm also a big fan of your poetry!!! OMG, I have to try this. We LOVE, WUV, really WUV rootbeer floats!! Thanks for sharing. You made me think of how awesome my childhood was!!! 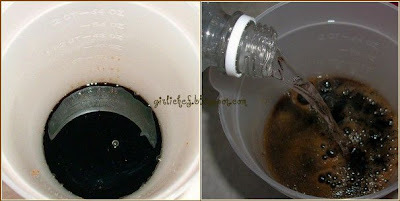 I love the idea of making root beer - did it awhile ago when my kids were young - great fun! What memories you invoke! There was a great lady who lived in the Boundary Waters (not for the feint of heart) and made homemade root beer for the weary backpackers and canoe-ers- it's a great story. Thanks for the blog. My kids would love to make these! I bet they taste so great! I used to have one of the glass A&W root beer mugs from when I was a kid. I wish I still had it! Thanks for the comments on my blog today! Great job on the root beer! We have made it with dry ice and extract and never thought to use club soda! My hubby got the grand idea to make it from scratch...internet recipe, hops, and such and it did NOT turn out! This sounds like a lot of fun. I've never made my own root beer but I have made ginger ale. Thanks for this great idea. root bear floats reminisce such memories of my childhood for me, too, back when I used to frequent A&W!! my brother once bought a whole gallon of this homemade root beer when we visited the amish one time! I think I'll pass this recipe to him since he loves root beer so much! Wow! I never even thought of making my own root beer! I will definitely be trying this one. We also had an A & W here in SO. Illinois, but when it changed hands, the new owners kept the root beer recipe and still serve them in frosty mugs. Delicious! I've made root beer, too, but from the concentrate like you did. Isn't it fun? Makes you feel kind of Little-House-on-the-Prairie-ish :) I've always found the concentrate at the regular old grocery store, in the spices section. I love going to A&W as a kid. These bring back good memories! OMG I'm silly I had NO IDEA you could make Root Beer at home..next time I'm down the spice aisle I'm looking for the concentrate. I think I stumbled across your blog from an apron blog. Anyway, I'm off to read more. 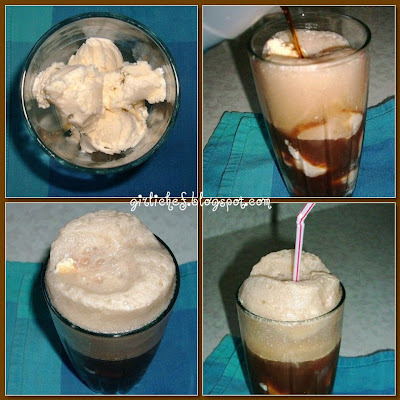 I haven't had a good old fashioned root beer float in a long time, this looks amazing. It's like a big frosty glass of summer! FUN!!! We love root beer floats too! 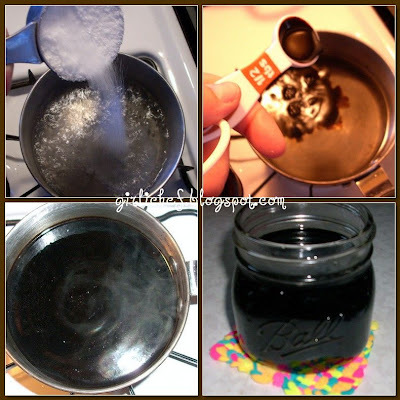 What a fun project, I've never notice root beer concentrate but now I'll have to check it out! I've never seen this product. I'm going to have to take a trip to the U.S. and soon. 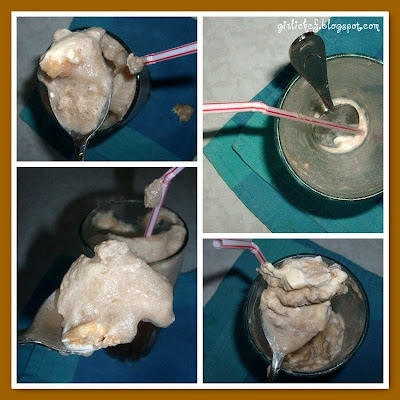 Hi, First time visiting your blog (found you via Colleen's blog), the rootbeer recipe reminded me of the first time my husband made rootbeer, we were awoken one night to the sound of 'gunshots? ', nope, just the rootbeer exploding - he got much better at making it as time went on :o). Your recipes look great! Mr. Noodle would love this! Root beer floats are one of his faves but as far as I know, he hasn't had one in ages. I didn't realize root beer was pretty easy to make at home! Great! My boyfriend's mom loves soda... can't wait to show her this recipe.